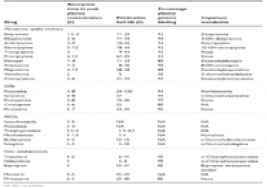 Data on the pharmacokinetics of antidepressants are listed in Table...5. The tricyclic antidepressants are by and large well absorbed although time to peak plasma concentration can vary from 1 to 12 h depending on the drug and the individual. In general, these drugs are metabolized in the liver to a variety of metabolites, some of which are active. For instance, desipramine is a metabolite of imipramine and nortriptyline is a metabolite of amitriptyline. Most of these compounds have a long half-life (close to 24 h) that will allow for once-daily dosing. All the compounds are highly bound to plasma protein except for venlafaxine. Although many of the compounds have active metabolites, the exact percentage of each metabolite in patients and in their clinical effects is still largely unknown. There is considerable individual variation in the metabolism of tricyclics, and a large component of this may be genetic. Up to 7 to 9 per cent of the Caucasian population have been classified as slow metabolizers (slow hydroxylators) which can be measured by the rate of hydroxylation of debrisoquin. The slow hydoxylation has been determined to be caused by a polymorphism in a cytochrome P-450 macrosomal enzyme (CYP2D6). It is of interest that many SSRIs are inhibitors of P-450 isoenzymes which can considerably influence the metabolism of tricyclic antidepressants. (32> In general, the increased renal clearance in children and a decreased renal clearance with age needs to be taken into account with dosing. P>The SSRIs are rapidly absorbed, although there is variability within the drug half-lives. The metabolism into active metabolites can vary the pharmacodynamic effects considerably. For example, fluoxetine is metabolized to norfluoxetine which has similar activity on 5-HT reuptake as fluoxetine. The elimination half-life of norfluoxetine is longer (4-16 days) than that of fluoxetine (4-6 days). The desmethyl metabolite of sertraline although not nearly as potent as the parent compound, also has a much longer half life. The desmethyl metabolite of citralopram, although a potent noradrenaline uptake inhibitor, is much lower in concentration than citralopram and it weakly crosses the blood-brain barrier. Fluvoxamine and paroxetine metabolites do not have SSRI activity. The relatively long half-lives of some of the SSRIs, particularly fluoxetine, require longer drug-free periods before switching to other classes of compounds especially before starting an MAOI. The MAOIs are all rapidly absorbed. For the irreversible MAOIs the elimination half-life and protein binding patterns are not as relevant because of the irreversible effects on monoamine oxidase. The reversible MAOIs have shorter half-lives and require multiple daily dosing. (3 34) With the irreversible MAOIs, once the drug is stopped there needs to be time for new synthesis of monoamine oxidase. This requires a minimum of 5 to 7 days and the safest recommendation is to wait 2 weeks before starting other drugs that may interact with the MAOIs. The five other antidepressants listed in Tabl— are rapidly absorbed but there is some variation in their elimination half-life. In general the half-lives are short enough that multiple daily dosing is required. They are generally bound to plasma protein at a high level. The metabolites of trazodone and nefazodone have mixed effects on 5-HT receptors which results in a complex overall effect. Trazodone and nefazondone undergo extensive hepatic metabolism and one major metabolite is m-chlorophenylpiperazine which stimulates 5-HT receptors. Many metabolites have biological activity with half-lives different to the parent compounds. Bupropion is metabolized in the liver and its metabolites can be at higher concentration than the parent compound. The relationship between plasma bupropion and clinical response has been poor.